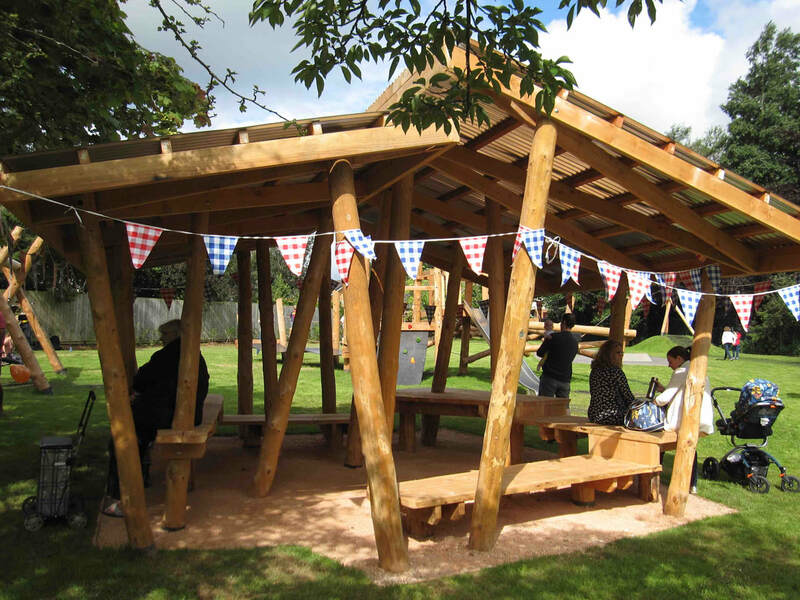 Welcome to Sampford Peverell Play Park, a wonderful community space for all to enjoy! Owned by Sampford Peverell Parish Council, the ongoing maintenance of the park sits under the Sampford Peverell Recreation Ground & Village Hall Charity, driven by the Play Park Support Group, made up of local families. The Support Group aims to raise £2,000 a year to help cover the insurance and maintenance costs of the park. If you'd like to get involved and help out please see the "Donate" section below. The park needs the community's help to keep it going for future generations to come, so all donations are gratefully received and much appreciated. You can also find us on Facebook! Follow us to keep up to date with fundraising events and park news. The Park was first opened in 1949 as a memorial to those in the village who died in the two world wars. It was constructed for the cost of £2,300 (the equivalent of approx. £47,000 in 2017), which was raised through grants, private donations and local events. It included two tennis courts, a cricket pitch, four swings and a children’s chute (slide). Three local parents set about fundraising £95,000 to build a new park in September 2016. Thanks to a generous grant of £80,720 from Viridor Credits, and a further £15,000, raised through other Trusts, Community Groups, Individuals, Companies and Events, the renovated park was opened on 6th August 2017 and is the wonderful space you see today! Setting up a monthly standing order gift to the Park is a simple way to support your community space. • Email or message us to confirm setup, and what day of the month your payment is. We will respond and confirm safe receipt. Thank you to all the generous organisations and individuals who donated money, goods and time to create this park, listed below. A special thanks to David and Andrew Disney who helped save thousands of pounds in ground clearance, and to Bernie O’Connell who has, and continues to give hours of his time to support the park.